A Major noted for advancing with his mouth before thinking is given a choice: to be drummed out of the Army, or shape up the ROTC program at Sheridan Academy before it fails its next inspection. The Private War of Major Benson is a cute and funny movie written by Joe Connelly and Bob Mosher, the folks who brought you Leave It to Beaver. 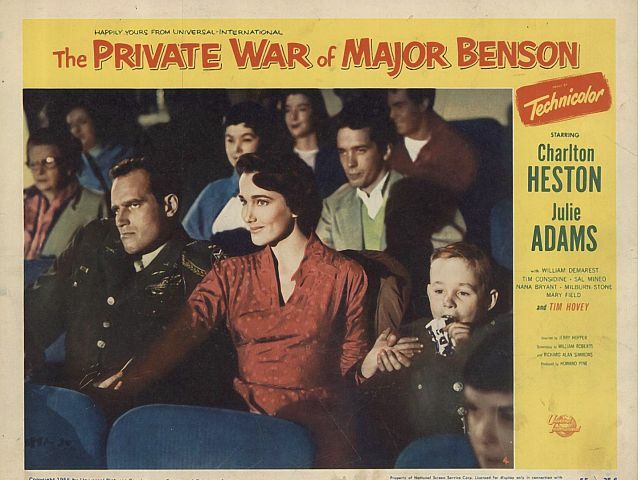 Think of Wally and the Beaver at military school with Charlton Heston as the commander.